California’s Gold Country is a pup paradise! Lakes to swim in, forests to stroll and sniff, and lots of time exploring with our humans. Usually, they can’t even use their phones because of the limited service, so they really pay a lot of attention to us! 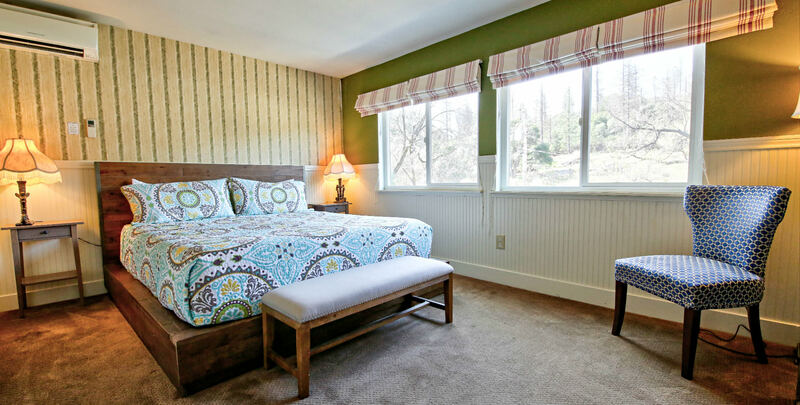 Of course, we want to stay at the Groveland Hotel or Hotel Charlotte because they have great pet-friendly rooms that your people will love – and they give us home-made doggie treats! Whether you are a small or large dog there are strict limits on where you can explore inside Yosemite National Park. For the most part, you are not allowed on trails, lodgings or shuttle buses. Don’t be discouraged. There are still some great places you can take your people. Within Yosemite Valley, we dogs are allowed in developed areas, on fully paved roads and bicycle paths (no chasing!) unless otherwise noted. We are also allowed in all campgrounds except walk-in campgrounds (e.g Camp 4) and group campsites. In the Hodgdon Meadow area, we can check out Carlon Road from the trailhead to the Hogdon Meadow and on the Old Big Oak Flat Road from Hogdon Meadow to the Tuolumne Grove parking lot. Make sure your people have bags to pick up your poop. If your people are exploring areas of the park you are not allowed, there are a number of day-boarding options to consider. In Groveland, we think Big Creek Boarding is bark worthy, but book early. Inside Yosemite National Park you can stay at the kennel at Yosemite Valley stables (there are horses, so be prepared). The kennel operates May to September. You must be over 6 months old and have proof of your vaccinations to stay at the kennel. Your people can call 209-382-8326 to reserve a spot for you there. 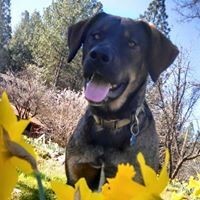 Finally, wherever your family is traveling, we suggest getting them to check out DogTrekker.com for great ideas about dog friendly activities throughout the U.S.